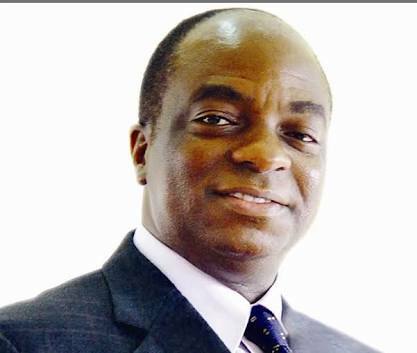 Bishop David Oyedepo who is the founder and general overseer of the Living Faith Church has said he is not bothered when people accuse him of using church fund to buy private jets.According to report, the religious leader said he feels good when people make these accusations and that he is focused on what heis doing.He said he sees those accusations as persecution and they do not affect him. He said:“I feel very good. It’s an opinion. Let me tell you what my understanding of persecution is; it’s simply an opinion harshly expressed. And everybody has a right to his opinion.“People who are walking in the truth are hardly bothered when things are said negatively about them because they have nothing to hide.The truth is I have never felt it, some say it’s not human, but I have not. I can’t be wasting my time trying to reply lies because I have too many things to do.“They are doing their work, let me be doing my work too and before they wake up in the morning, I’ve done the next one, so, it doesn’t matter. My idea of it is that, in a football match,you have only 22 people playing with thousands of spectators.“And that is the way it is in the journey of life. In every field, you find just few players and many spectators, multitudes. If we don’t know where to place opinions, they will displace us.“When we started Covenant University, so many people said it would not work, now, we hosted two Nobel Laureates this week, whereas no Nigerian university has ever hosted one in the history of university education in Nigeria.“Now, it is the most pronounced and preferred private university in Nigeria. In fact, they say this is the university of the future; that is what they say in the university community. Those who said it could not work now have their children here because they have changed theirmind.“Some people say how can you tell children how to dress? We have to do that so they won’tbehave like mad people on the street. They sayhow can you tell them they can’t use phone? We tell them so they would be disconnected from cultism.“Ask me anything, I can tell you why we did it. Where are you going to find the President of a nation with a woven hair? I can tell you that in the next 100 years, you won’t find a male president using earring because they would count you as irresponsible, even in the secular world, they won’t see anything in you. Meanwhile, Bishop Oyedepo came out to say that payment of tithes opens the windows of heaven for you to receive blessings or you remain beggars. Daily Post reported that the man of God made this revelation while addressing a large audience at Dunamis International Gospel Center, Abuja.